Cancellations done 10 days before arrival are free of charge. For cancellation done 10-0 days due to arrival date, the amount for one night will be charged. We run very famous mediterranean restaurant on the first floor of the hostel. Next to us is famous Kiva bar! Meals can agreed if needed, 10% off in our restaurant. The following group types are not accepted by this hostel: Junior / Primary School, Business Trip, Sports Group, Cultural Group If you have misrepresented the type of group you are booking for, your booking may be cancelled by the hostel." 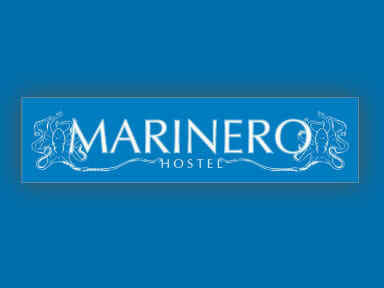 Hostel Marinero is located right on the Hvar town waterfront, by a string of buzzing Hvar bars and quite a few restaurants including ours...Marinero! Our family owned restaurant Marinero, located on the ground floor of the house, has a terrace on a small busy square, where you can be sure to taste and feel the true Hvar. Our seafood restaurant is a part of our hostel, where we serve only organic vegetables from our family farm, and our fish is always fresh! As our hostel guests we provide 10% discount in our restaurant. Another benefit you have as our guest is a free welcome drink at the Kiva bar. It doesn't matter how long you plan on staying in Hvar, there's so much to do (and we don't mean beaches only) : Speed boat rentals to the Blue Cave, jeep safaris through the island's inland and scuba diving in the clear waters of Paklinski islands. We will provide you with everything you need to know during your stay on Hvar. With your booking, you will have free internet and Wi-Fi access in our AIR CONDITIONED rooms, on the restaurant terrace and within the restaurant. If your planned arrival would be after working hours, please contact us 24 hrs in advance via phone or e-mail! Our dorms are basic and clean and share a bathroom. The dorms contain either 4 or 8 beds (2 or 4 bunk-beds). - '4 Bed Mixed Dorm' is an air-conditioned room with 2 bunk-beds and security lockers. It shares a common bathroom. - '8 Bed Mixed Dorm Ensuite' is an air-conditioned room with 4 bunk-beds and security lockers. It has its own bathroom in the room. - A government tourist tax of approximately 1 EUR/night will be added to your balance upon arrival.